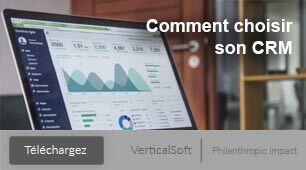 Applicants who want to be considered for a grant from the BNP Paribas Foundation for the Climate and Biodiversity Initiative program can now submit their proposals through an online portal supported by the VerticalSoft cloud-based platform. 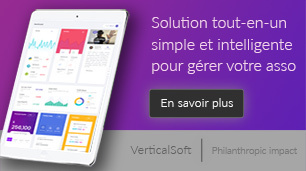 In addition, the VerticalSoft platform also provides charities with useful features for their fundraising efforts, including the creation of donation pages, event pages and a web site for each project that includes all necessary information and tools to regularly inform donors of the project progress. The BNP Paribas Foundation acts on three fields of action: culture, solidarity and the environment. Since 2010, the BNP Paribas Foundation has been supporting scientific research aimed at increasing our understanding about climate change and biodiversity, and to assess their interactions and impact on our environment. The Climate and Biodiversity Initiative has a budget of €6 million over three years, and involves a call for projects followed by a rigorous selection process led by people who are well known within their area of research and representing a large scope of climate related research fields. The aim of this call for projects is to select 6-8 research projects that will increase our understanding about issues related to climate change and biodiversity. The projects will receive financial support from the BNP Paribas Foundation for a three-year period. Article précédentPourquoi catégoriser vos donateurs vous aidera à recevoir plus de donsArticle suivantVotre association peut-elle émettre un reçu fiscal annuel pour don ?